Welcome to our new home that now contains all of our ministry tools, strategies and media! With translations of the "JESUS" film in more than 1,700 languages and our growing library of movies and short films, you can experience and share the story of the gospel anywhere with anyone. 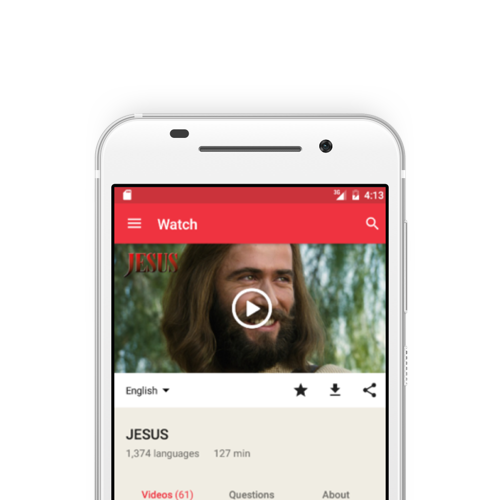 The Jesus Film Project app is completely free and available on iOS and Android devices. Get the app now and start watching and sharing a huge library of Jesus-centered films.